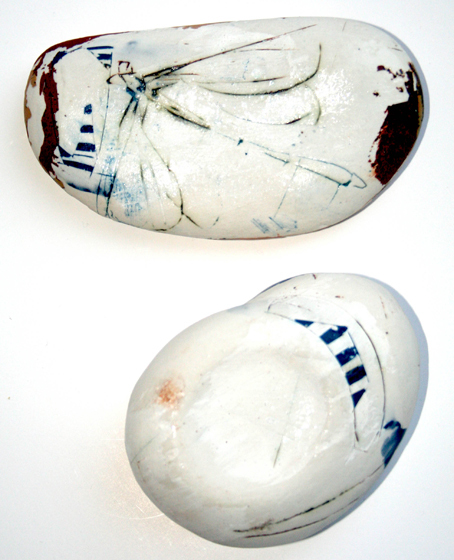 With art as research tools Arild Berg has explored how participatory processes can contribute to material based art. This has been done by creating art in several public spaces among these a hallway in a hospital. “Arctic Border” is part of this project. The work was developed into a corridor at the geriatric ward in mental health care where patients were being evaluated for a diagnosis. The title “Arctic Border” refers to being in a borderland between the known and the unknown. From the invitation from the National museum in Art, Architecture and Design, Museum of Applied Arts to Art Salon held Thursday 24 November 2011. Research collaboration with Mette Holme Ingeberg and Britt Maj Wikstrøm, HiOA. 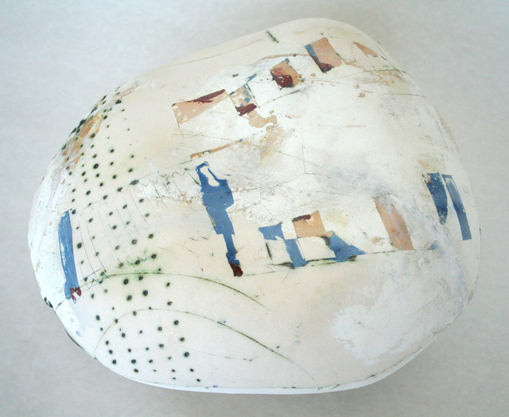 24 porcelain images and 15 porcelain forms for communication. 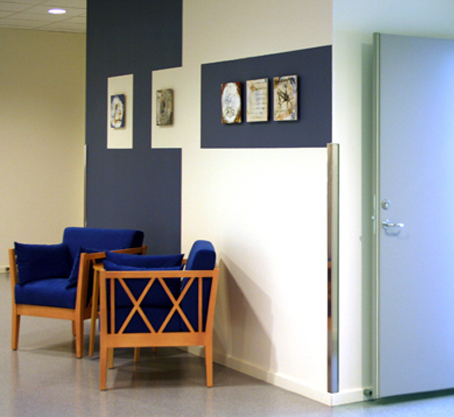 Installation at Akershus University Hospital.